So a couple of weeks ago I was having a mooch around Marks&Sparks with my friend Susan and I came across this little beauty. Obviously at first it was the vintage floral print that attracted me, which is actually inspired by an original Marks and Spencer’s tea dress design from the 1940’s, wow?! Secondly, I smelt the product and I simply couldn’t leave it on the shelve! 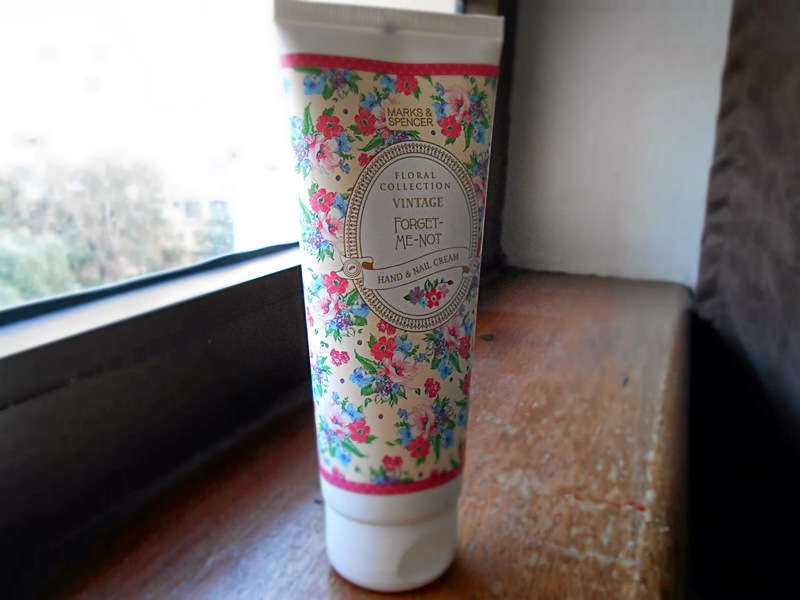 Upon using this hand cream a few times over the last few weeks, I can say that initially it does feel quite greasy but does dry rather quickly and leaves my hands feeling smoother and smelling delightful! It hasn’t broken or irritated my skin or caused my hands to return to a dryer state if not applied(which is just horrible isn’t it when then happens, humpf). If you’re not a fan of strong smelling creams then this isn’t one for your collection. 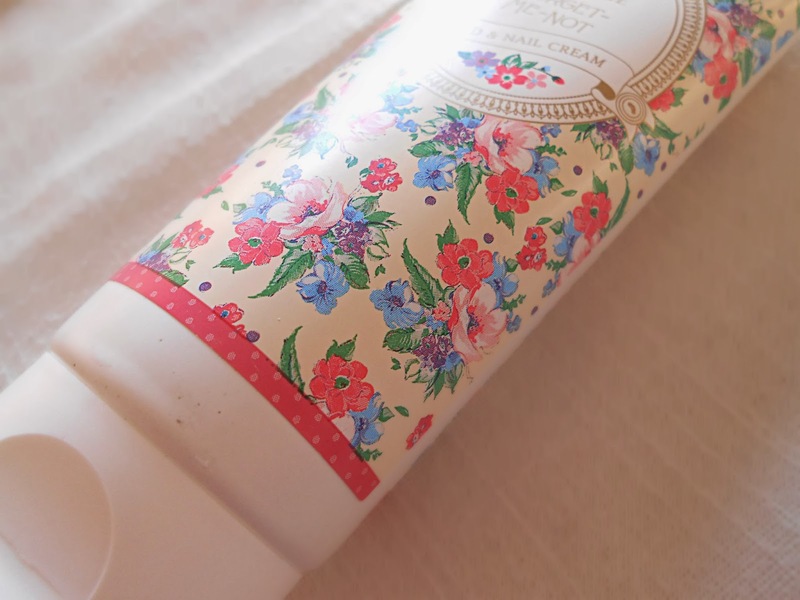 This hand cream is fragranced with a floral scent reminiscent of the forget-me-not flower which is actually s symbol of friendship and love, cute right? 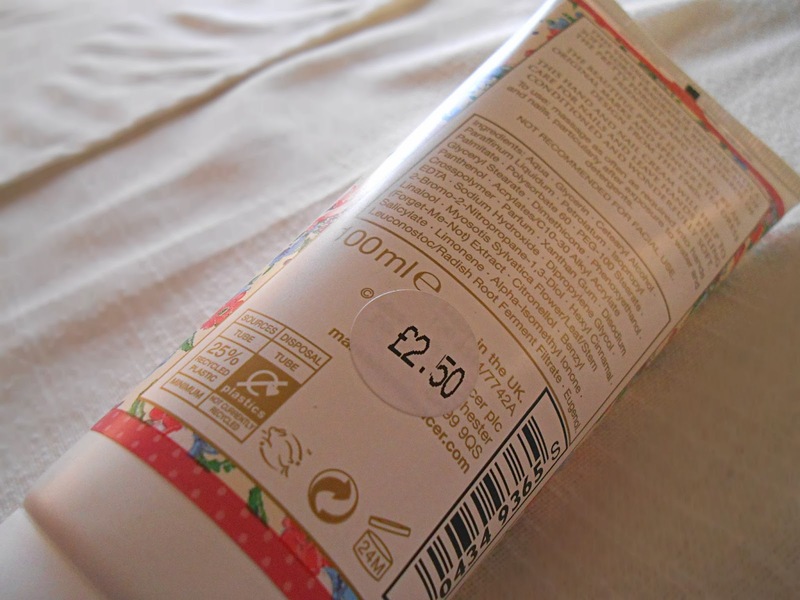 Overall, for the price I think this is a handy little tube of hand + nail cream to have in your handbag! You can purchase it online here or in store now! Have you tried this out yet? What do you think? ﻿This product is vegan friendly!